North Island, New Zealand, used to be covered by monumental kauri tree forests. Today, the landscape is severly deforested and eroded and there are only a few remaining stands of original forest, having been cut down for timber in the 19th and early 20th century. 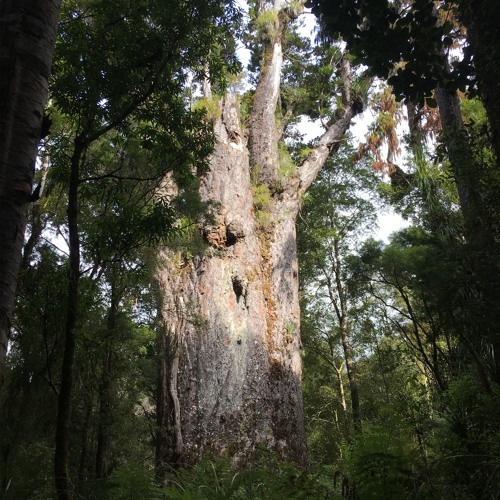 Kauri trees stand in their enormity, bathed constantly in this pulsating insect soundscape.